Once in a while, the biggest buck of your dreams walks by and sometimes, you even get to kill it. Even less a state record comes strolling by, in a state that you don’t even live in. Mark Alexander (53) of Louisiana got so lucky on a recent trip to Kansas to hunt with Red Dog Outfitters for his second year in a row. He took his son and his son’s friend to hunt with Owner, Tim Clark. That day, Clark dropped off Alexander’s sons’ friend at his stand and as he was leaving, saw what he believed to be the largest animal he’s ever seen stand up, buck that is. Clark called and told Alexander, who was eating lunch, to get out to his stand and not come back until dark. Alexander rushed out and grabbed his wet clothes and got to his stand. In no time he was freezing and thought he couldn’t take it any longer. At 3:30 pm, Alexander thought he couldn’t take it any more, he lowered his bow and was about to leave when he saw a giant buck 100 yards away and quickly closing the distance. He hurried and got his bow back up and nocked an arrow. 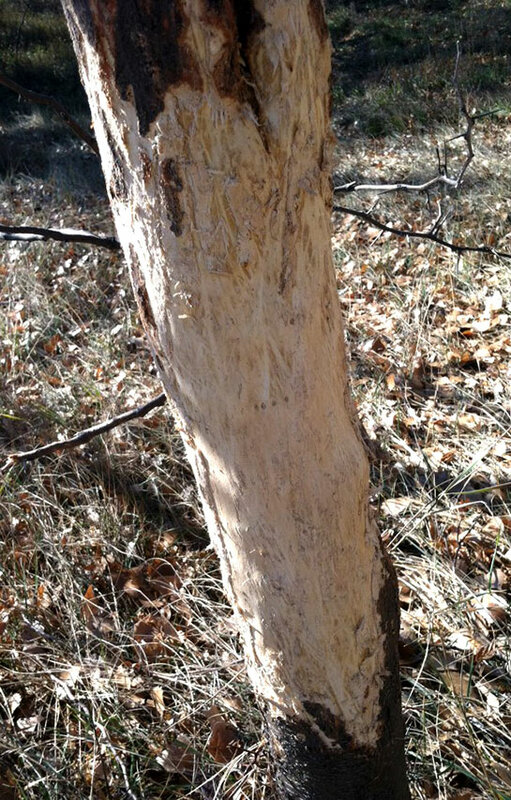 By this time, the buck was 40 yards away, Alexander drew back and got ready to shoot. He arrowed the buck behind the front shoulder and watched it pile up 70 yards away. Alexander was elated and Clark was thrilled that his client got the deer of a lifetime. 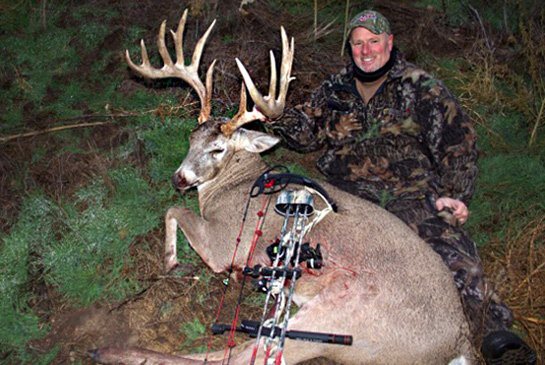 Not too many people get to shoot a Kansas state record buck and he is likely going to be added to that list. The taxidermist who took it who is an official state scorer, determined a gross green score of 208 7/8 inches and an unofficial green score of 194 1/8 inches. 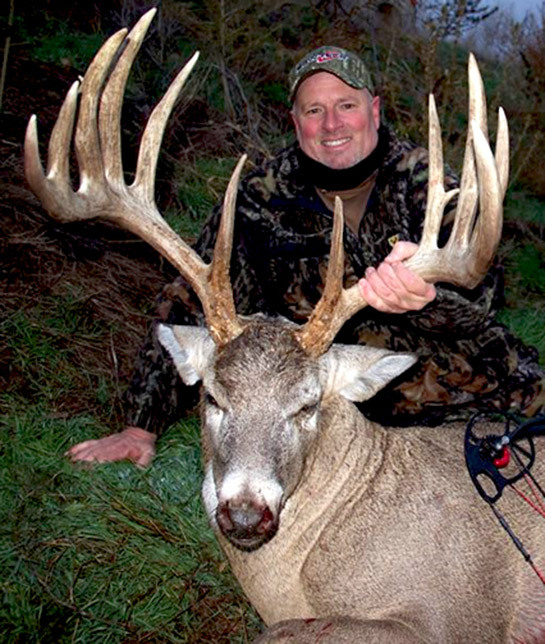 The Kansas Department of Wildlife, Parks and Tourism tracks big Kansas whitetails, and their current first place archery buck measured 193 7/8 inches. 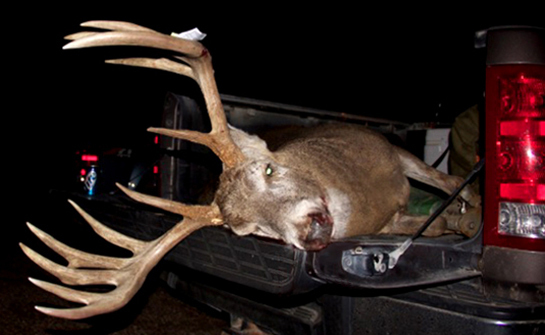 That buck was taken in Wabaunsee County in 2001.